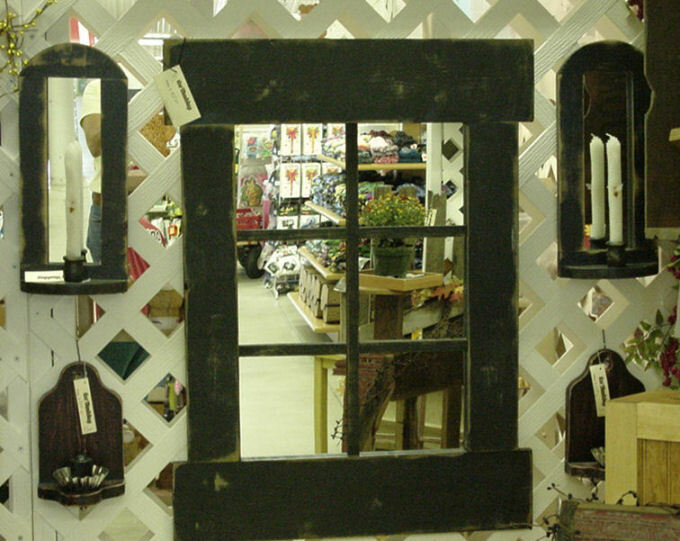 This this is a sample of the Distressed Country Window or Distressed Country Mirror that we make and sell so many of. It is made of pine and can be made what ever size or color you need to fit your space. The candle sconces set off the mirror and can be painted to match.